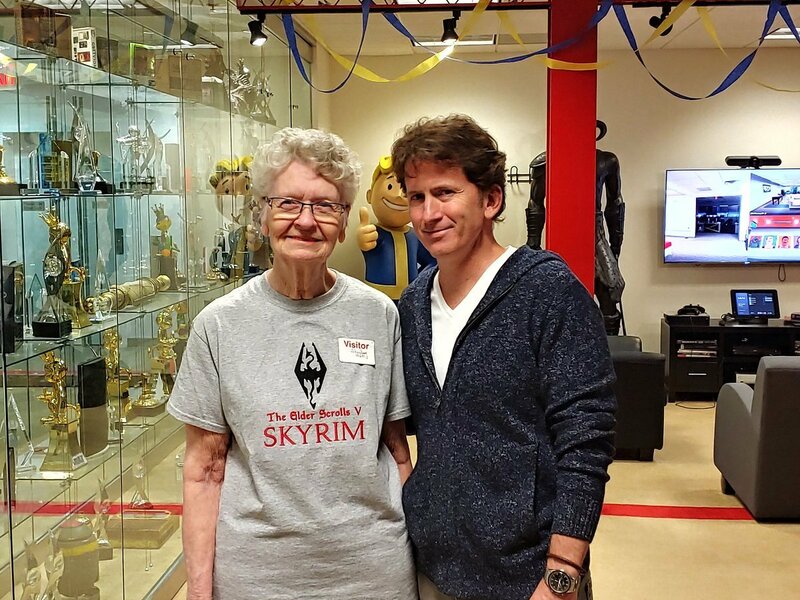 Shirley Curry, otherwise known as Skyrim Grandma, will be an NPC in Bethesda's upcoming Elder Scrolls 6. Big-time Skyrim and Elder Scrolls fan Shirley Curry is being immortalized in The Elder Scrolls 6 as an NPC. Curry couldn't be happier about being added to The Elder Scrolls 6, either, which we totally get – who wouldn't want to make an appearance like this in their favorite game series? During a presentation celebrating the 25th anniversary of The Elder Scrolls in general, there was a highlight reel shown off of the YouTuber, who has been nicknamed "Skyrim Grandma," chatting about her time with the games and what they mean to her. She's going to be included in the actual game, which she's absolutely thrilled about. The clip showed her in a motion capture outfit with her likeness modeled in-game in The Elder Scrolls 6. It isn't clear whether she'll be voicing her character or not, but she took to Twitter later with a photo of her and Todd Howard from Bethesda as well as a video clip chatting about her experience with the games. It's positively heartwarming. Of course, the video meant we got a small speck of a peek at the new Elder Scrolls game, too. It's all we're about to see in The Elder Scrolls 6 for some time, as Todd Howard called it "a little sneak at the technology" we'll see in-game, as well as a quick peek at what's coming for Shirley herself. Unfortunately, The Elder Scrolls 6 isn't coming to E3 this year. Despite the fact that we can't get our hands on The Elder Scrolls 6 as early as E3 2019 (it was a nice dream while it lasted) it's still good to have some semblance of an update, even if it's not one that we expected. The game is going to have 100% more Shirley Curry in it than ever before, though, which warms our cold little hearts. Go get 'em, Skyrim Grandma! You rock.